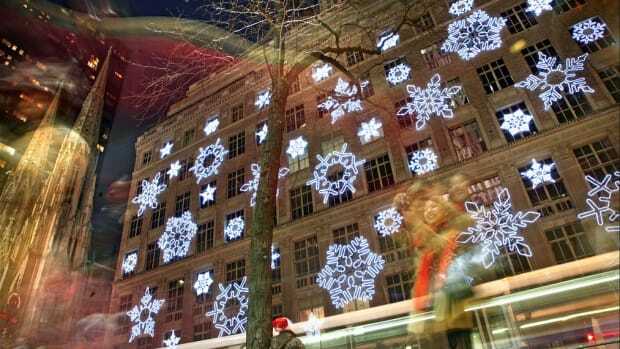 This year, maybe it’s time to skip the mall Santa in favor of a fabulous new Christmas tradition. All around the country, railways are getting decked out for the season and offering families a great way to combine a visit with Santa and a fun family outing. 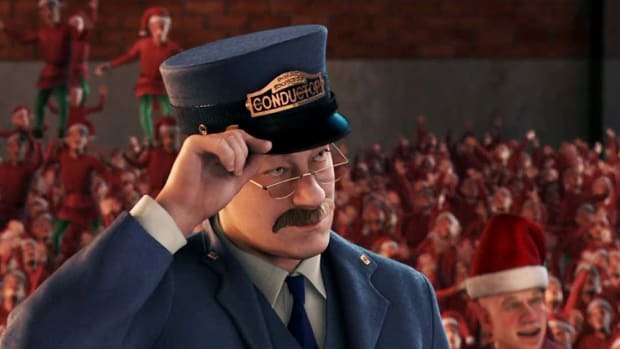 Conductors donning Christmas caps and elf assistants dream up unique ways to make a Polar Express-like trip magical. Here’s a sampling of scenic railways transforming the classic journey into a memorable family experience, typically complete with cookies, hot cocoa and a hug from the big guy in the red suit himself. 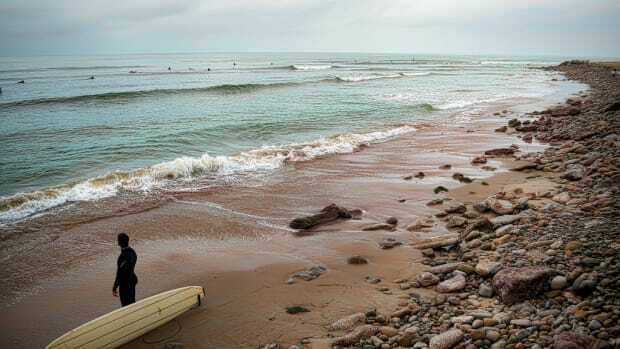 But hurry—some trains sell out for the season fast. 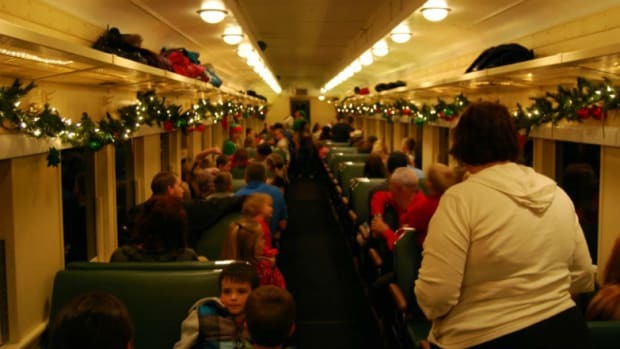 Where: 33 railroad locations nationwide Why: Because “Polar Express” experiences produced by smaller railroads across the country—including including the historic Durango and Silverton Railroad in Colorado—offer dozens of chances to jump inside the classic book and movie of the same name. On the upstate New York version, for instance, aboard the Saratoga & North Creek Railway, you travel 50 scenic miles along the Hudson River in the Adirondacks, and are served hot cocoa and cookies by dancing chefs; you can bundle the trip with a stay in a Saratoga Springs hotel for $105 per person. Where: Williams, AZ Why: Because this vintage train offers one of the best “Polar Express” opportunities in the nation (and it even runs until Jan, 4 this year). Aboard the historic train (in service since 1901), you’ll enjoy hot chocolate and listen to the classic story of The Polar Express. The highlight, of course, is when you arrive at the “North Pole,” where Santa and his reindeer are waiting. Tickets start at $32 for adults and $18 for kids. 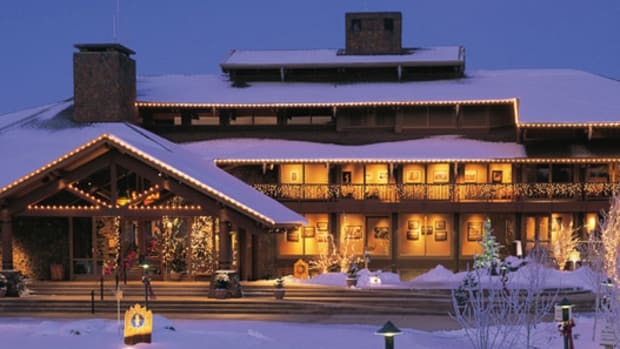 Polar Express train and lodging combos are also available at the Grand Canyon Railway Hotel, starting from $368 a night for a family of four. 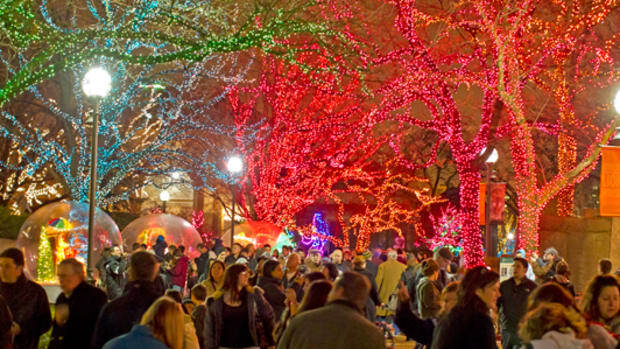 Where: Grapevine, TX Why: Because the town of Grapevine has enough Christmas spirit to warm the heart of even a Grinch. Before boarding the “North Pole Express”, you’ll be greeted by elves and carolers and, once aboard the train, there’s more singing, storytelling, and visits from Santa as the train travels through a Christmas tree maze. Kids get their own commemorative mug, filled with “Frosty Chocolate Snow Milk, ” and a Santa silver bell that they can ring to prove that they believe in the man in red pants. Tickets cost $25 and are available from Nov. 29 through Dec. 22. Where: Spooner, WI Why: Because it’s not every day you get to see Santa eating pizza. Wisconsin Great Northern Railroad serves up a pizza party with Santa during the two-and-a-half-hour train ride, followed by hot chocolate and holiday cookies on the journey home. 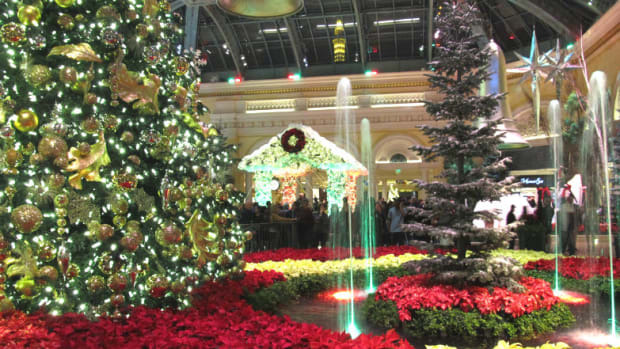 This train departs each Saturday at noon through December 21. Tickets cost $30 for adults and $20 for kids. 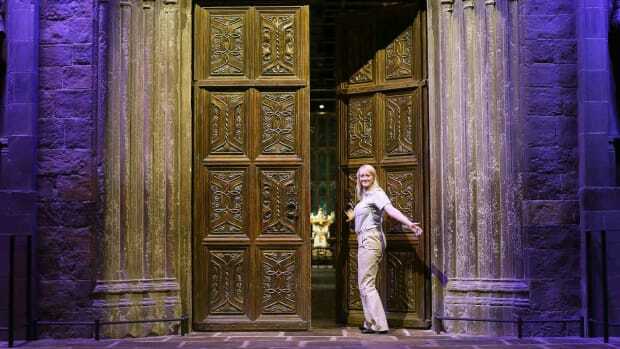 The family package costs $100 for two adults and three to five children, and includes two pizzas and beverages. Where: Strasburg, PA Why: Because “Santa’s Paradise Express” has been chugging along in Pennsylvania Dutch country for 50 years now, and there’s plenty to do both on board the vintage train and back at the station. If the weather outside is frightful, old-fashioned potbelly stoves keep little passengers warm as carolers and musicians visit each car. After the 45-minute train ride, kids can listen to storybook readings of holiday favorites, and children ages 3 to 11 will receive a gift from Santa and his helper. They will also love riding on the miniature train, and propelling themselves down the tracks on the pump-and-crank cars. Trains leave the station on weekends in late November and throughout December. On three Fridays during December, the railroad also does a come-in-your pjs Night Before Christmas Train. Tickets cost $17 for adults, $11 for kids ages 3 to 11, and $3 for toddlers. Where: Essex, CT Why: Because you don’t get that many chances to rub elbows with Mrs. Claus. The hour-long “Santa Special” leaves from an 1892 station (about an hour east of New Haven) and travels through the Connecticut River Valley while you get quality time with Santa and the Mrs., as well as Rudolph and the lesser-known Pablo the Penguin. 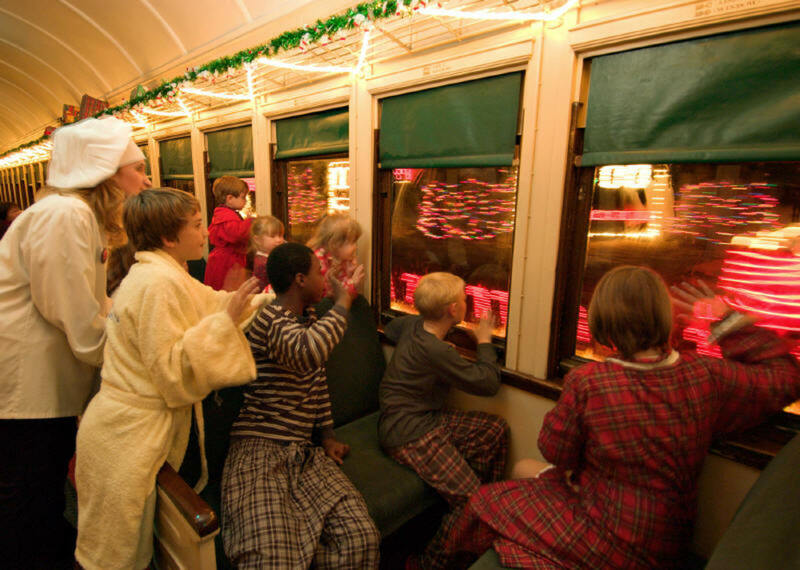 Evening rides dubbed “The North Pole Express” invites guests to wear pjs for a reading of The Night Before Christmas with cocoa and cookies. Each child gets a small holiday gift from the elves, too. The train runs weekends from November 29 through December 23. 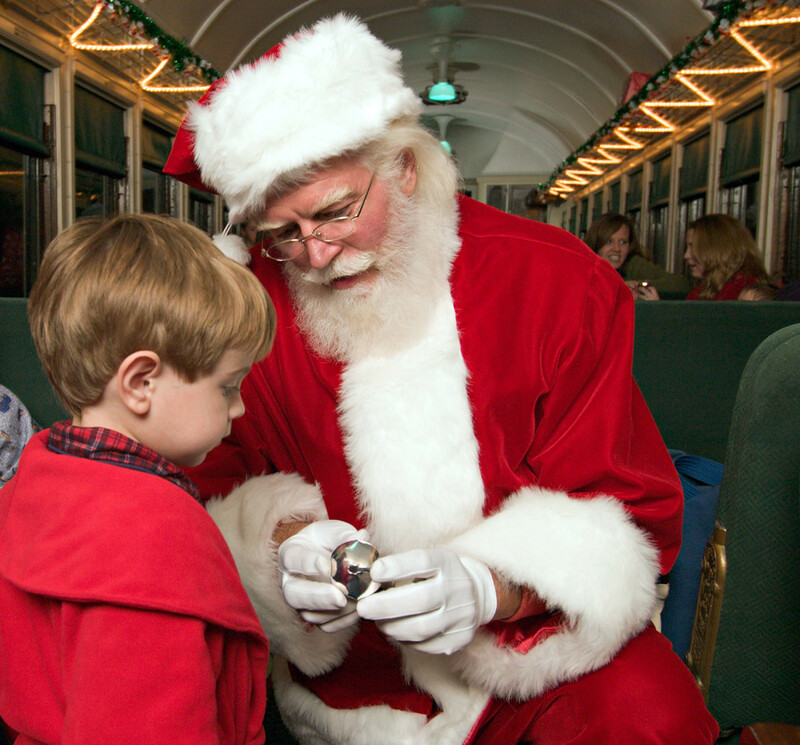 Tickets for the “Santa Special” cost $20 per person for ages 2 and up; “The North Pole Express” is $30 per person. Where: Fillmore, CA Why: Because this California railway company offers three types of Christmas train rides. Kids can have dinner with Santa, pick the perfect Christmas tree, or visit the “North Pole.” On weekends, families who haven’t gotten their tree yet can ride the “Christmas Tree Train” to the private farm and pick out the perfect tree. Tickets cost $24 for adults, $14 for kids 4 to 12, and $10 for 2- and 3-year-olds. Christmas trees are an additional cost. “Dinner with Santa” is a 75-minute ride that offers menu selections for children and adults, and kids have an opportunity to give Santa their holiday wish lists. Tickets cost $47 for adults and $26 for kids. On the “North Pole Express,” elves read a Christmas story to passengers before the train arrives at the “North Pole” to pick up Santa. Tickets for this train ride cost $29 for adults and $19 for kids. Where: Elbe, WA Why: Because this area is usually snow-covered in December, so families can experience a true winter wonderland on board the “Santa Express.” On this 90-minute train ride through the forest, kids will receive a toy from Santa, and enjoy free hot apple cider, cookies, and hot chocolate. The “Santa Express” runs Saturdays and Sundays through December 19. Tickets cost $27 for adults and $22 for kids 2 to 12.